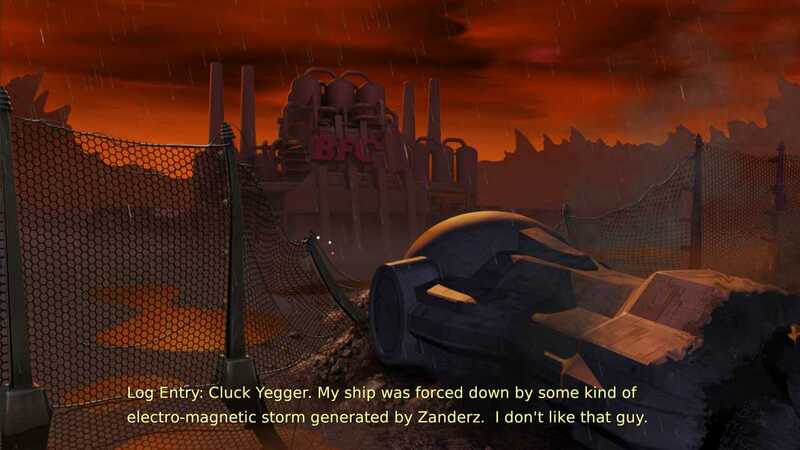 Cluck Yegger in Escape From The Planet of The Poultroid definitely has one of the strangest names in the gaming world, but at the same time it comes with a simplistic gameplay. The idea you can find here is very similar to the Five Nights at Freddy’s series and all you need to do here is to make sure that your ship, which is malfunctioning on an unknown planet, stay safe from any damage. You will also have to focus on yourself as well, so there’s a lot at stake here. 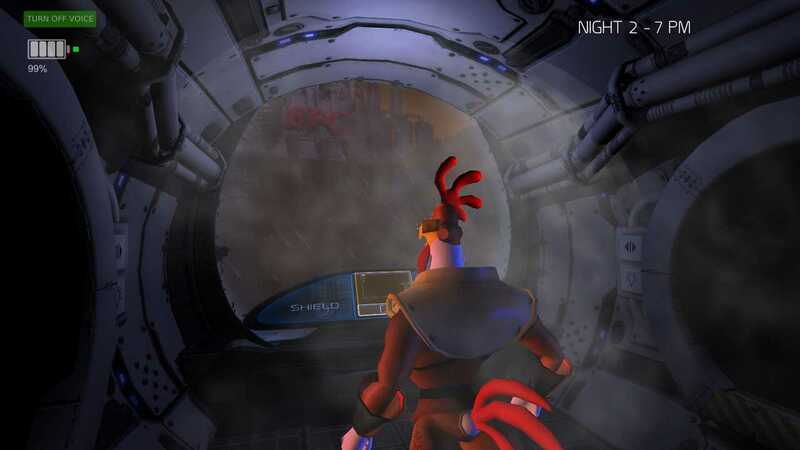 As you play Cluck Yegger in Escape From The Planet of The Poultroid you will be able to explore your ship and see what creatures try to destroy it and eliminate you. The game’s concept is simplistic but the entire experience is very demanding just because the more you play, the more challenges can appear. 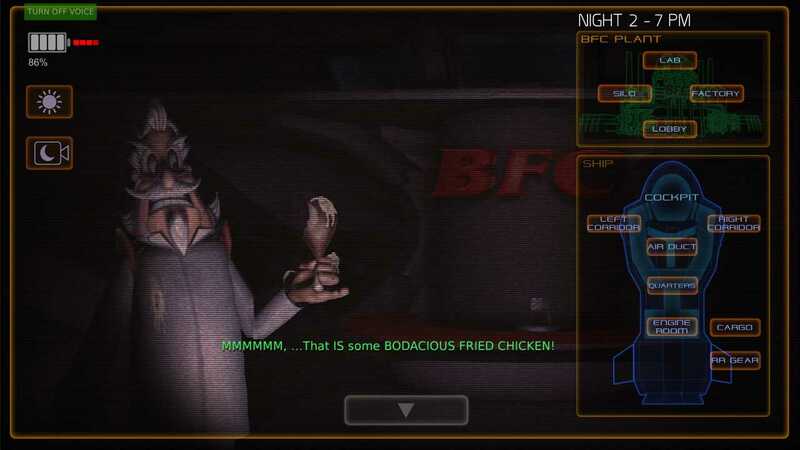 This is set to be one of the small portion of a larger game named Spaceventure, but the FNAF-style gameplay does an amazing job in this game, just because you are free to focus your attention anywhere. With lots of monsters in your ship it will be very hard to stay alive, but that’s where you need to pay attention. The game’s difficulty does rise over time, but I found it to be bearable when compared to FNAF. It does spike from time to time, but overall I feel that the title does an amazing job when it comes to delivering a set of intense, dramatic moments. Deaths are common here and the fact that you can explore the ship at your disposal can definitely be a scary moment for sure. But these aren’t issues to be honest, instead I feel that such things only manage to further add to the entire experience and the story on its own is more than interesting to say the least. It could be better, of course, but there are tons of great things about this game, including its low price that definitely make it a great buy. If you don’t enjoy the FNAF game style you might not enjoy this, as it’s mostly a parody based on the FNAF gameplay, but it’s one that has heart and which can really deliver on the stuff that it wants to do. Graphics are great in this game and even though there’s not that much content here the price of $2.99 or regional equivalent is definitely well worth for what you get. Sure, it’s a short game but the replay factor is there to be had and you can easily play it from time to time if you want a few scares and an intense gameplay! If you liked Five Nights at Freddy’s, you should totally check Cluck Yegger in Escape From The Planet of The Poultroid out!